The Attorney General of Texas, Ken Paxton, recently issued a consumer protection alert about the buying and selling of gold coins. 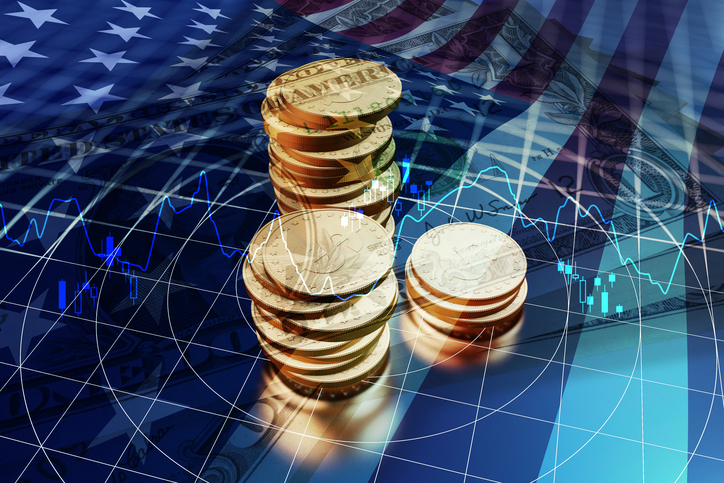 The alert was written with the help of numismatic expert and award-winning writer Michael Fuljenz, President of Universal Coin & Bullion located in Beaumont, Texas. Fuljenz provided continuous consultation to the attorney general’s office on this important consumer alert. 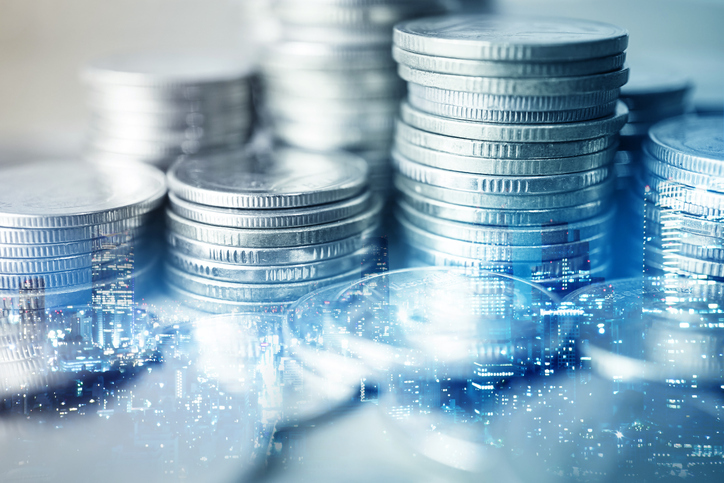 In coordination with other key industry leaders, Fuljenz offered guidance on consumer protection best practices for precious metals consumers and investors. The advisory states that senior citizens are particularly at risk. They make up about 14% of the total U.S. population, yet account for up to 60% of the callers to the National Fraud Information Center. The advisory also cautions consumers and investors that if they invested in coins that would have to double or triple in value before realizing a gain, they may be victims of fraud. The advisory focuses on the importance of working with reputable dealers before investing to avoid overpaying when buying, or receiving too little when selling. 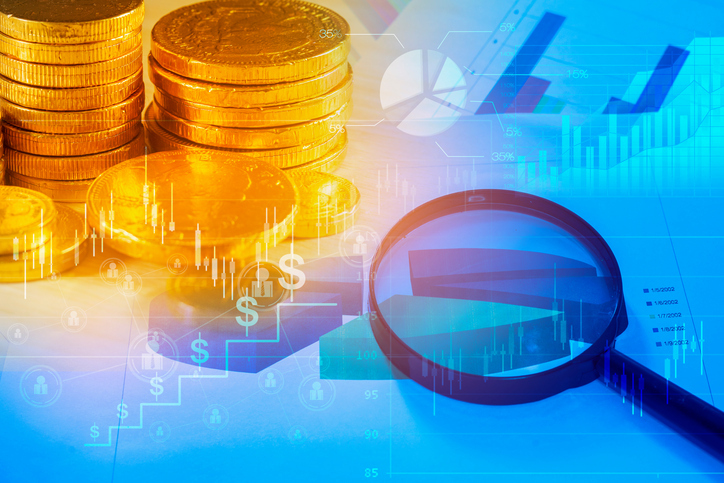 Paxton’s office advises coin buyers and sellers to research dealers through Better Business Bureau, The American Numismatic Association (ANA), The Professional Numismatics Guild (PNG), Professional Coin Grading Service (PCGS) and the Numismatic Guaranty Corporation (NGC). India’s gold imports increased sharply – up fourfold – in April, according to Bloomberg, citing a source within the Indian Finance Ministry. Shipments of gold into the country rose to 98.3 metric tons, more that four times the 22.2 tons for the same period last year. In April 2016, import volume was crippled by a lengthy jewelers strike in protest of an excise tax on gold jewelry. This year, demand was initially hampered by the Modi government’s demonetization move that took the country by surprise. The government eliminated large denomination bills, severely reducing gold jewelry purchases in the Indian economy, which are mostly driven by cash. Consumers are adjusting their buying patterns to the new monetary policies and are beginning to shift their gold buying to credit cards. Prior to this period, few Indian citizens carried credit cards. Prior to demonetization, cash transactions for gold amounted to 80 percent of the market. That number has dropped to approximately 50 percent as more Indian buyers turn to credit cards for purchasing their gold. After demonetization, the Indian economy stalled. 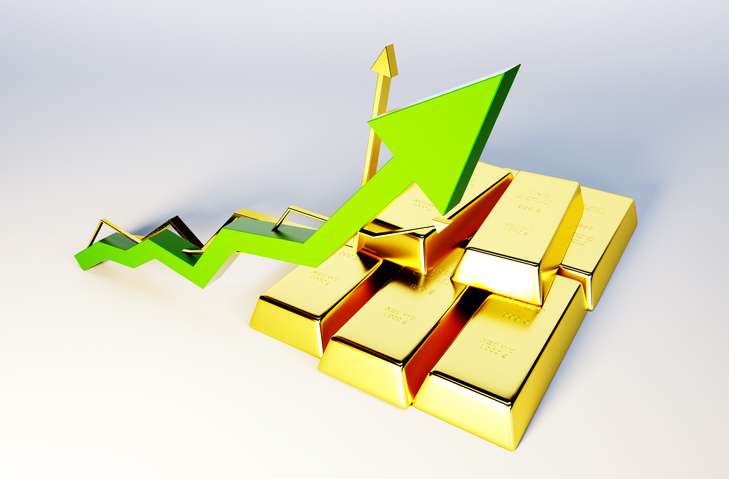 As the money flow has begun to increase and gold prices have retreated from recent highs, there’s been plenty of demand built into the gold markets. Demand has also been driven by an increase in the value of the Indian currency, as the rupee’s recent rise has worked to offset some of the price increases for gold to Indian buyers. The World Gold Council has revised its estimates for annual gold purchases in India this year to the higher end of their previously estimated range of 650 to 750 tons. Gold again had a strong week, remaining above $1,280 all week due to several geopolitical events occurring simultaneously, including the troubled French elections, the recent MOAB (Mother of All Bombs) dropped by the U.S. in the mountains of Afghanistan, saber-rattling by North Korea and Iran, another terrorist attack in France, the coming U.S. federal debt limit crisis, the crackdown on dissent in Turkey and the U.S. air strikes in Syria. Gold did dip below $1,280 on April 24, but it was still up 2 percent ($25) for the month of April. Based on the “Tooth Fairy” index, inflation appears to be heating up again, which should prove positive for gold and silver. The Tooth Fairy index is a remarkably accurate inflation gauge that was originally conceived and sponsored by Delta Dental. According to the index, the average parental payment for a tooth under the pillow in 2015 was $3.91 and rose to $4.66 in 2016 for a 19.2 percent year-over-year gain. Payouts for a child’s first tooth, typically higher that the average, are also up almost 10 percent to $5.72. The Tooth Fairy index is not a random survey of local parents. It’s actually a scientific poll that includes 1,588 parents of children ages 6-12. Conducted during the week of Jan. 24-31 each year, the resulting margin for error is just plus-minus 2.5 percent. This poll also indicates a general rise among families of disposable income. Regionally, payments of Tooth Fairy index were highest out West at $5.96 ($6.89 for first teeth), followed by the Northeast ($5.08 and $6.31), the South at $4.57 ($4.88) and finally the Midwest $4.04 ($5.70). After lying relatively dormant for the past five years, inflation is finally returning, and that’s a good sign for gold and silver, which are historic hedges against rising inflation. In the United Kingdom, commodities fund manager James Luke of Schroeders said gold and silver, hedges against inflation, are “under-owned” since the quantitative easing – and the associated printing of money – by central banks around the world portends higher inflation in the future. After taking a breather from gold-buying in December, the Central Bank of the Russian Federation jumped back into the gold market with both feet in January. 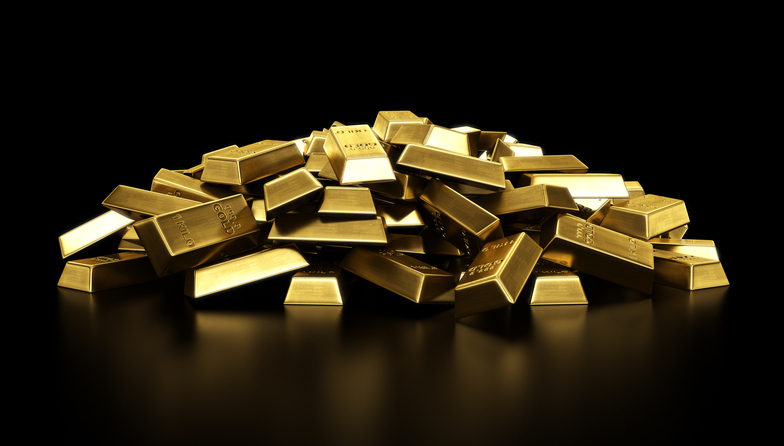 The Russian media outlet Sputnik cited a report from Vesti.ru this week that in January Russia expanded is gold reserves by 37 tonnes, equivalent to more than one million troy ounces. That contributed to a growth of 4% in Russia’s overall foreign exchange reserves to $393.6 billion. Russia bought no gold in December, taking a pause from an aggressive buying pace that saw the central bank acquire 31 tonnes in November and 48 tonnes in October, the largest one-month purchase since 1998. For all of last year, Russia bought about 200 tonnes of gold (6.4 million troy ounces). The year before, the bank added 206 tonnes. Anton Navoi, deputy head of the central bank’s department of statistics, revealed at a Thomson Reuters conference in September that gold comprises 16% of Russia’s foreign currency reserves. He said Russia has no specific target goal for the gold content of its reserves. “The bank is buying gold because it’s advantageous. Our country is third in the world in terms of gold production, and we have the opportunity to buy it in our national currency, in contrast to other countries that don’t have such an opportunity,” Navoi explained. The Russian bank ranks as the sixth largest holder of gold in the world and the third largest producer of gold behind China and Australia. Central banks have been net purchases of gold ever since the 2008 financial crisis, adding more than 2,800 tonnes to their vaults. Last year, central bank purchases totaled 383.6 tonnes of gold. About 80% of that total was bought by Russia, China, and Kazakhstan. In a shortened trading week, gold climbed smartly higher to $1,260 and better, breaking through a significant resistance level at $1,250. The yellow metal hit a headwind on Friday, slipping back below $1,260, but still gained 1.5% in euros and dollars for the week. For the year, gold is up 9% even in the face of record-high equities and a strong US dollar. In euros, gold has done slightly better, up 9.4% for the year. In pound sterling, gold has gained 6.4%. New debt crises in Greece, Italy, and Portugal could also boost safe haven demand for gold, said GoldCore. UK giant HSBC has lowered its average annual price prediction for silver in 2017. While HSBC had expected to see silver average around $19.25 per ounce, it has lowered the bar a little to $18.75. The reduction is only a temporary measure however, and HSBC expects the price to climb to $19.25 in 2018 and rise higher in 2019, to $19.50. HSBC also noted that a resurgence in uncertainty on the part of investors, at least when it comes to geopolitical concerns, could boost the price of silver in 2017. That has prompted the bank to predict an overall range of $16 to $21.50 for silver through the course of the next year. These predictions put forth by HSBC are based on “solid fundamentals” according to the firm, stating that they expect supply to decrease, while demand in the industrial and jewelry markets should increase. Their predictions take into account the current strength of gold as well as the potential for a tighter Fed policy in the New Year. HSBC is also expecting a correction in the U.S. dollar against the Euro, which should support silver prices. Gold futures lost almost 8% in November 2016, bringing them to a 10-month low this year. A bad month for gold though generated an exceptional month for gold coins. 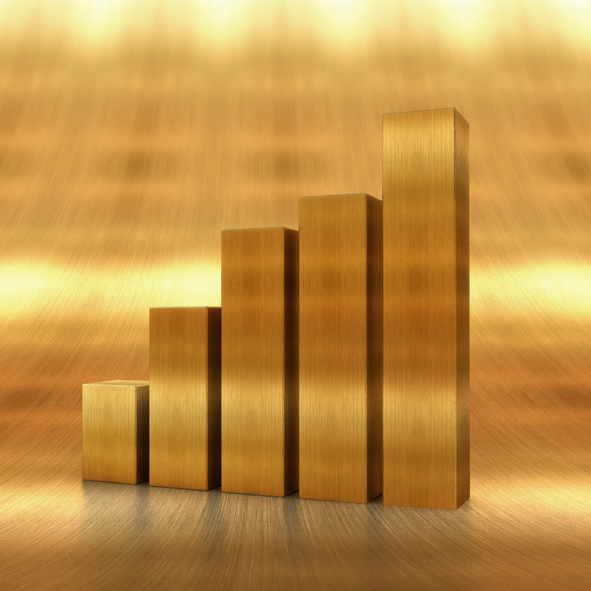 US Mint sales of gold bullion also rose again for the fourth month in a row. 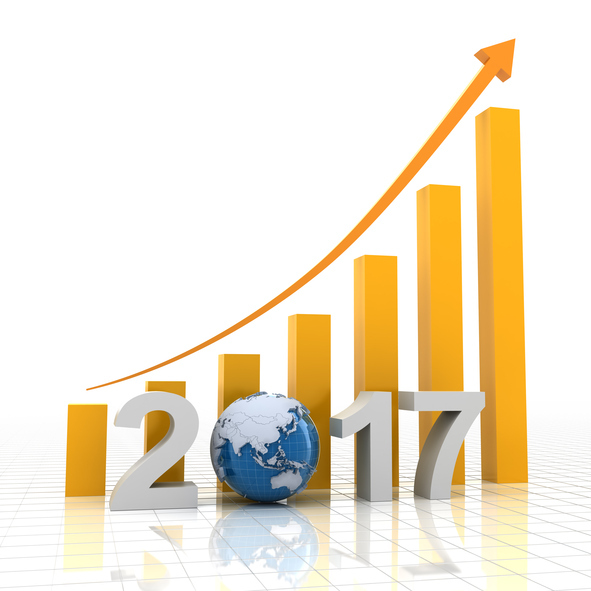 Experts associate this rise with lower prices attracting bargain hunters and risk takers expecting prices to go up in 2017. American Gold Eagle coins also had their best sale figures since July 2015. 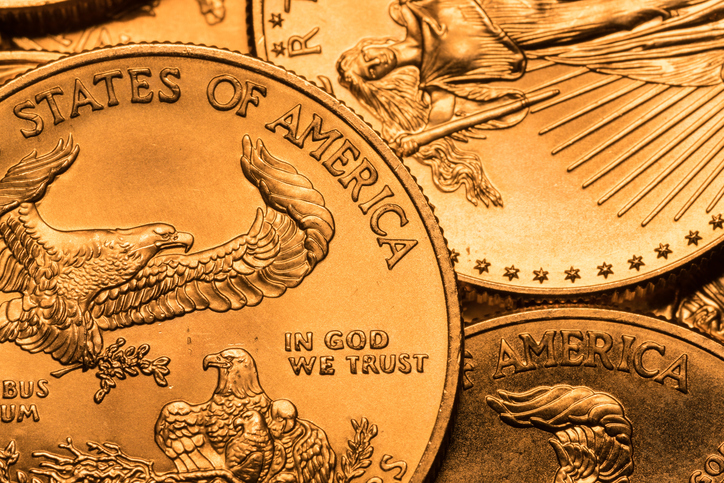 American Eagle gold coins jumped by 147,500 ounces in the month of November, showing advances of more than 27% from October figures of 116,000 ounces and just over 52% from the 97,000 ounces delivered in November of the previous year. Sales this year include 956,000 ounces, bringing the total up 19.4% higher than the 801,000 ounces sold during all months of 2015, excluding December. American Buffalo gold coins jumped 29,500 ounces in December, up 3.5% from the 28,500 ounces moved last November. Still, sales declined just over 22% from the 38,000 ounces moved in November of 2015. Sales from January to November include 207,000 ounces, putting those 5.5% lower than the 219,000 ounces sold last year in the same period of time. Gold prices may not be as high as in the past, but Swiss Bank UBS looks for gold to average just about $1,350 in 2017, noting that gold may be down, but not out. In fact, a research report coming from Swiss Bank UBS notes that gold will be a fragile commodity in the beginning quarter of 2017. Gold might even fall to around $1,150 at this point. A statement from UBS clarifies its position on expected gold pricing at the end of 2016 and in 2017. 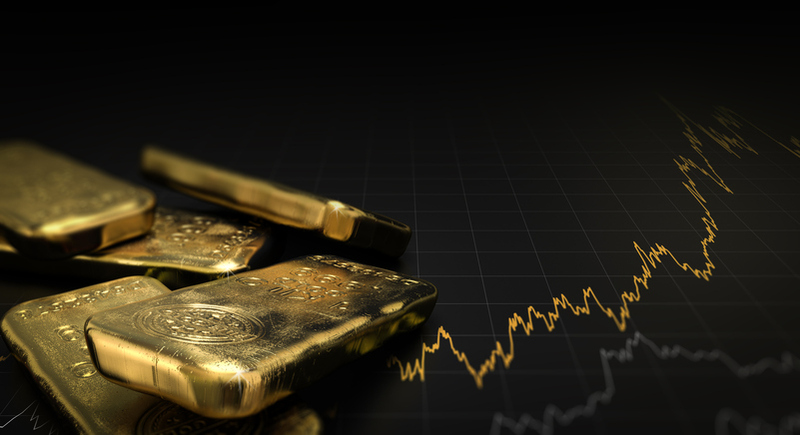 Given that the market is already down and positions have been adjusted accordingly, UBS believes that any further downsides to owning gold are likely to be well contained, and that buyers shouldn’t expect much further decline. In fact, UBS believes that gold is looking like an attractive proposition for buyers at these levels because too much further weakness isn’t likely. As prices go up, buyers who get in at this point will be making considerable gains on their investment. Just three months ago, gold was forecast at $1,300. While that might appear a bit ambitious at this point, UBS believes that gold will make its way back to that mark in the very near future. That’s why they’re saying gold may be down, but buyers shouldn’t put it down for the count yet. This thinking is mostly based on an analysis of real interest rates that take into account the yield on traditional 10-year note government bonds once inflation is removed from the equation. Texas is the third-largest market for the Affordable Care Act (ACA), known informally as Obamacare. More than 1.3 million Texans are enrolled in the Affordable Care Act, a number slightly higher than a year ago. While the rate of uninsured Texans has fallen steadily because of the ACA, dropping to 17. 1 percent in 2015 according to the Texas Tribune, our state still has the largest number of uninsured citizens. Some 4.6 million residents lack health care insurance. 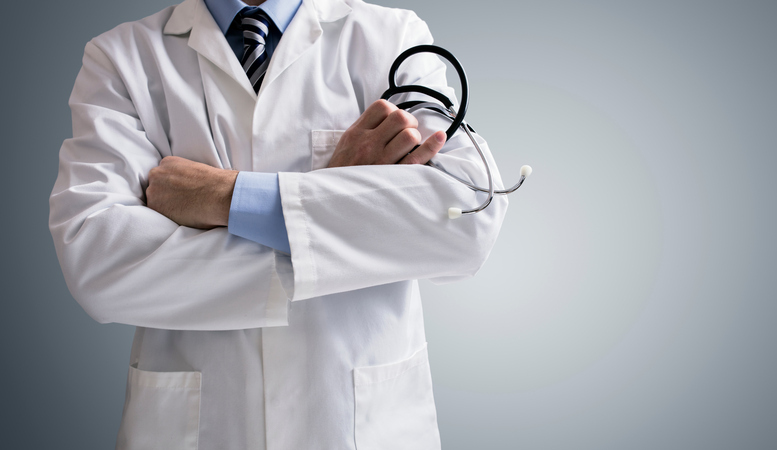 Though many studies, such as The Commonwealth Fund’s recent report, have found that the Affordable Care Act has had an overall positive impact on the economy, small business owners often find themselves between a rock and a hard place. As often happens with legislation, details that help a law work day-to-day are often left to the states, leaving business owners to struggle. Universal Coin and Bullion’s Mike Fuljenz has seen some of the effects of the ACA firsthand, noting that he knows someone who lost their cancer doctor and who was forced to switch jobs because it wasn’t covered under the Obamacare system. The affordability of the health care offered by different insurance carriers has been questionable, too. Mandated to provide adequate insurance instead of selling substandard policies at cheaper rates, these companies are hiking rates in response to market demand and other factors. Fuljenz’s ability to provide insurance for his employees has been affected by the ACA, explaining that costs for providing healthcare for his employees have gone up by 15-20% during each year of Obamacare. He explains that in order to absorb that cost, he has had to raise the deductibles for his employees.